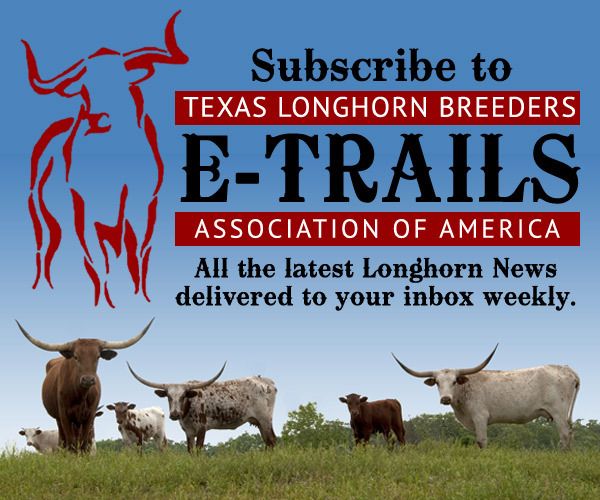 Purpose: The purpose of the TLBAA Dam of Distinction and Dam of Excellence program is to recognize those Texas Longhorn cows that calve every year, heighten awareness among breeders as to the importance of yearly cow production and showcase the birthing excellence of this wonderful breed of cattle. Eligibility: All cows nominated for the Dam of Distinction or Dam of Excellence must be registered with the TLBAA. Owners of all cows must be members in good standing of TLBAA. Nomination: Nominations will be made on a nomination form provided by the TLBAA office staff or by clicking on the link below. Rules: All cows nominated must have calved before 3 (three) years of age and calved every year thereafter (consecutive)! NOTE: EMBRYO TRANSFER CALVES DO NOT QUALIFY. Recognition: Owners of Dams of Distinction and Dams of Excellence will receive a certificate of acknowledgement. The Trails magazine will publish a list of the Dams and Owners. 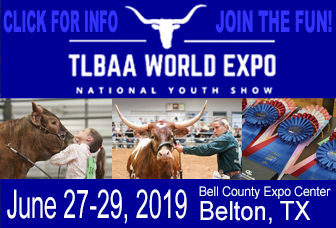 For more information on this program, please contact the TLBAA at (817) 625-6241.